Join us at Vermilion on Valentine's Day to toast to that special someone in your life. We'll be opening our doors at 5 p.m., and will host seatings until 10 p.m. Our seven-course menu will be priced at $95 per person. Additional wine, beer and cocktail pairings will be available for $49 / $39 / $35 per person, respectively. 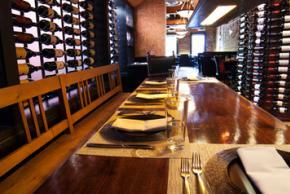 Reservations are required and can be made online at vermilionrestaurant.com/reservations or by calling us at 703-684-9669.